This information explains the 10-bit display method using Adobe Photoshp CC 2017/2018 and graphics boards (NVIDIA Quadro, AMD Radeon Pro/FirePro) that support 10-bit display on Windows environment. Please refer to the following for the display method and compatibility information for previous versions of Photoshop. 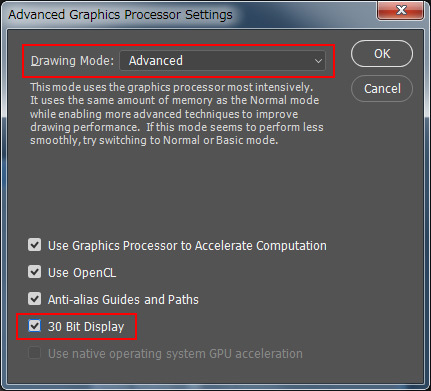 Setting up by the NVIDIA control panel is unnecessary because Photoshop CS6 or later support the 10-bit display. 1. 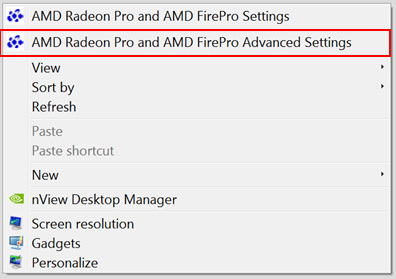 Right-click on the desktop and choose [AMD Radeon Pro and AMD FirePro Advanced Setting]. 2. 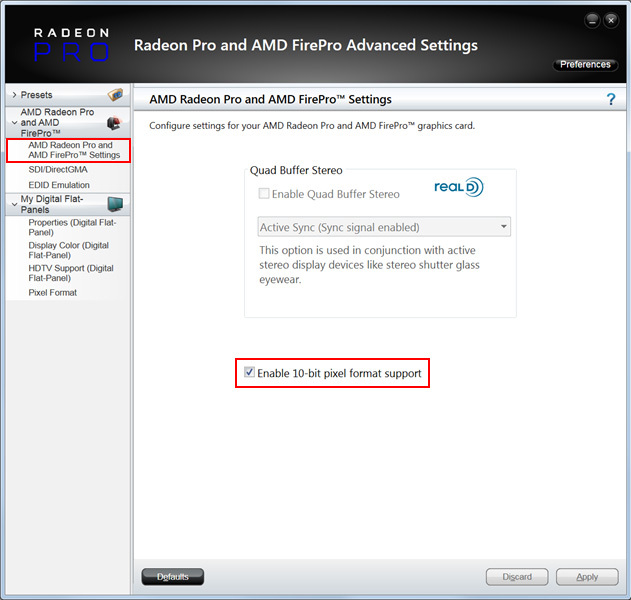 Choose [AMD-Radeon Pro and AMD FirePro]-[AMD Radeon Pro and AMD FirePro Settings] and check [Enable 10-bit pixel format support]. 1. 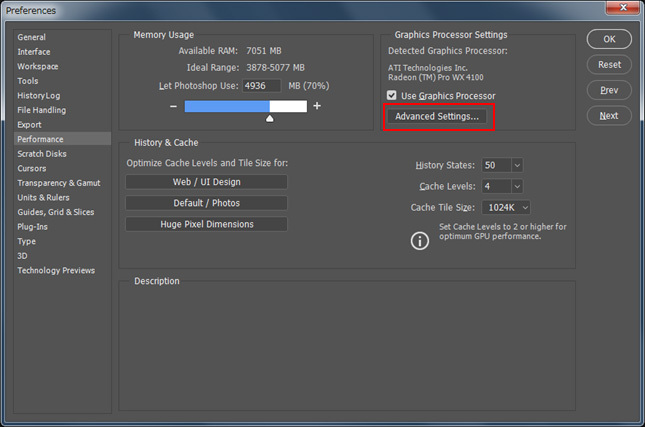 Choose [Edit]-[Preferences]-[Performance] and click [Advanced Settings] button in “Graphics Processor Settings”. 2. Then “Advanced Graphics Processor Settings menu” opens. Choose [Normal] or [Advanced] in “Drawing Mode” menu and check [30 Bit Display]. 10-bit display is available in the following combinations of monitors and graphics boards. * With Windows 10 Fall Creators Update, AMD graphics boards might not be able to display 10-bit image. Please use the latest driver of the graphics board to display 10-bit image.